Our Famous Torpedo Maduro 6x52 as Reviewed by Tim Rollins is one of our Most Sought after Cigars These Famous Smokes have a Beautiful oily Wrapper and that Spice thats twice as nice ! This is a Special Sale 1 week only!!! 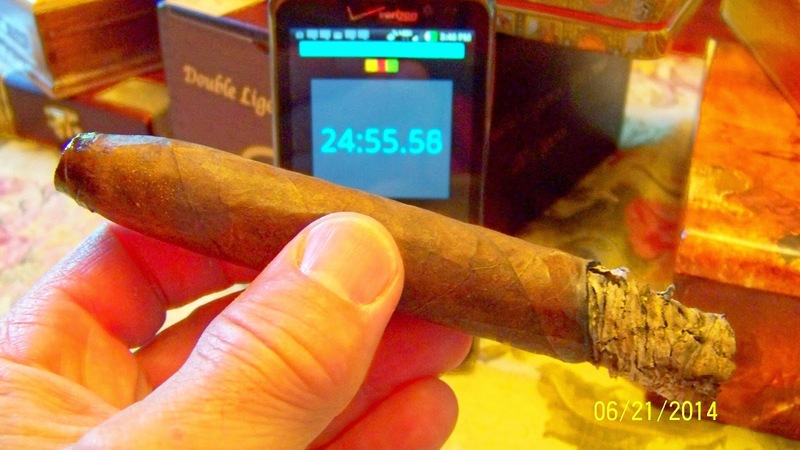 This is the second of the premium bundles from Cigar Bundles of Miami that I am reviewing. 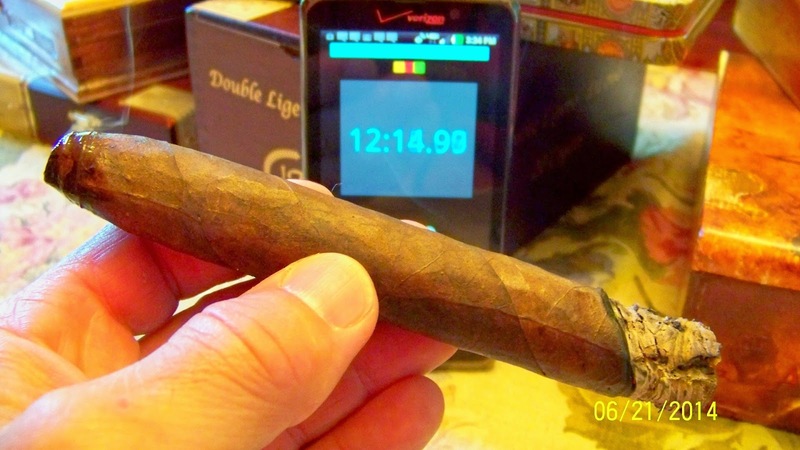 This review spotlights the Maduro Torpedo, a beautiful, oily wrapper that is very dark. This is an all Nicaraguan cigar but that's all I know about the leaves. The website says they come from the best fields in Esteli. Like the Habano torpedo, this cigar has a beautiful sharp point on the cap. And, also like the Habano, this cigar has no band. The test draw after cutting the cap was effortless. The initial flavors at light up were an orange citrus, espresso, milk chocolate, and black pepper rated at an 8. Nice start to this cigar. Nice, sweet citrus and chocolate with a lot of espresso notes. About 3/4 inch in the burn is slightly off but not enough to worry about. The citrus is now morphing over to a nutmeg. The milk chocolate and espresso notes are still there. 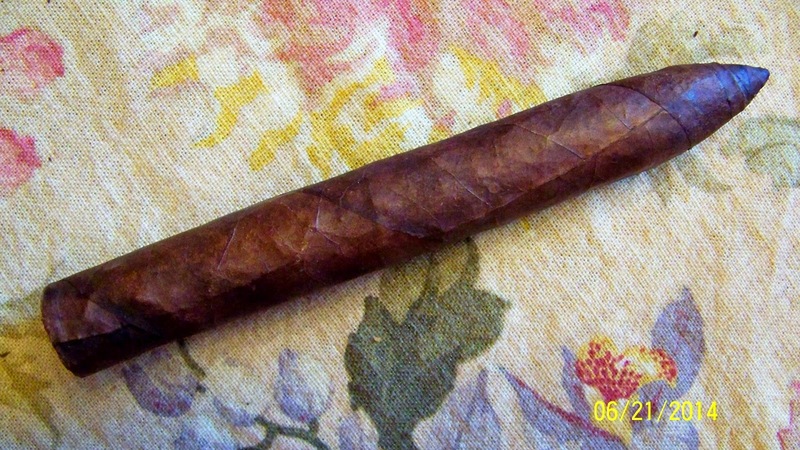 The cigar is medium to full bodied but you can tell from the cigar it is getting to full bodied quickly. The finish is a sweet cream with a lot of lingering black pepper. 1 1/2 inch in there are now cocoa notes with nice sweetness. The nutmeg is overwhelmed by the cocoa notes, actually. The other flavors are on par. The finish is also unchanged. The cigar is close to full bodied now. There are some very nice sweet flavors in this cigar at this point. The cocoa is showing a twinge of richness. Around the midpoint I had a burn issue. I let it try to correct itself. There are a lot of cocoa and milk chocolate notes at this point with the espresso waiting in the wings. The cigar is full bodied at this point. This cigar has all the requirements to be a very good maduro cigar, in my humble opinion. About 1/2 inch further the burn issue has not completely self corrected. The wrapper is so dense it is not quite burning evenly. You can tell from the picture that it is just shy of burning correctly so to me it's not big deal. A quick shot of the torch took care of it. Flavor change; the black pepper is now a red pepper! It was a nice change and goes very well with the sweet cocoa and chocolate. The cigar ended with the same tasty flavors as the last segment. It is hard to fathom that a bundled cigar that has this price point can have all the fantastic flavors that this cigar has. This is a very good maduro cigar. Although it is full bodied it will not knock you down. It's a nice full bodied cigar. As if you need my encouragement you need to try this cigar. It is a fantastic cigar. Bought this because of reviews which I highly rely on nowadays, was a great smoke wrapper had some loose areas but cigar held together and it wasn't a problem as far as the burn,. very consistent and great taste., I would definitely buy again. 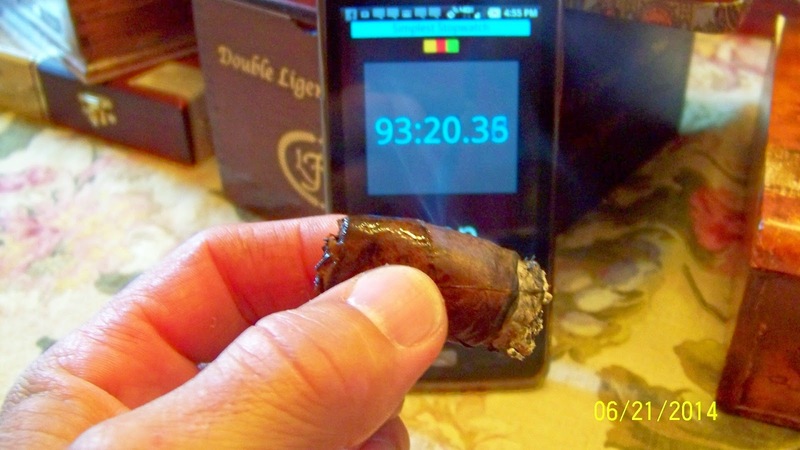 I love watching Tim Rollins cigar reviews and he was right on in terms of this cigar bundle. I love the excellent construction taste and price. Way to go Cigars of Miami. I will order again. I reviewed this cigar about a year ago. 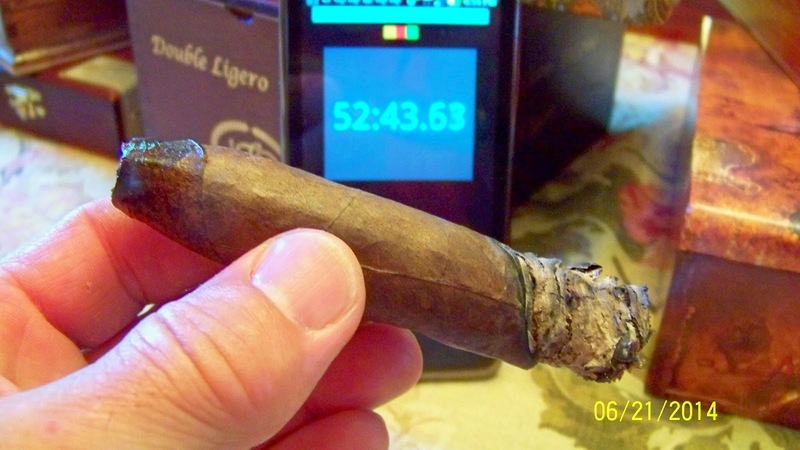 Since that time I have tried several other blends and shapes at Cigar Bundles. These cigars included Pigtails, Habano Torpedo's and Nico's and Habano Toro's. 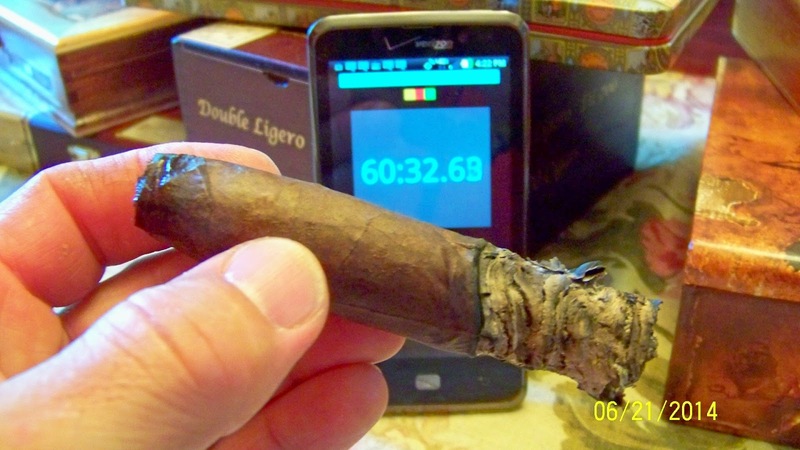 This is my favorite cigar, it is a medium to full body smoke to the end. I am not that good at identifying coffee or nut flavors, but this cigar has a rich creamy taste. I have been smoking cigars since 1969 and I have tried just about brand out there. I don't like giving a good review because I am afraid that Alex and Jackie will raise their prices. But this is a deal and a half. Great cigar, loved them for year's. Handed a few of these out, and got nothing but rave reviews from the boys in NC. Top of the line in construction, taste, and burn. This is great med-full body cigar. I must admit when I unpacked these bad boys the dark, rich and oily Maduro wrapper was impressive. Once I broke the seal the smell just sealed it. Only thing left was to spark one!! We'll let me just say, I'm a new loyal customer. This is an amazing smoke. I don't have a dog in this fight, but my humidor will always stay loaded with these sticks. Going to let some age for a few months!! I have a few of the Big Boys 7X70 Limited Maduro's and I cannot wait to try these!